Dimensions: 1200mm X p 620mm X h backrest 780mm X h seat 450mm. 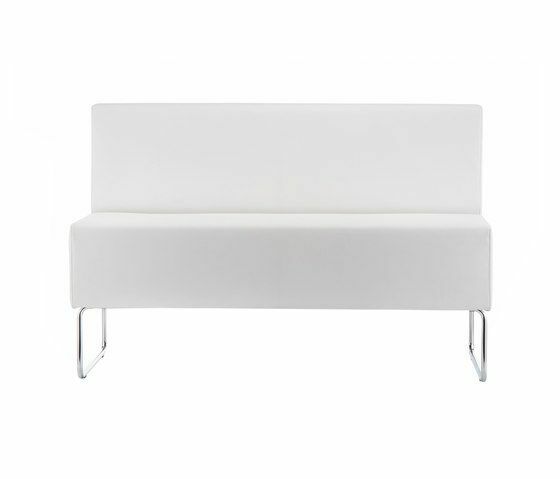 Host modular sitting system upholstered version, with fire retardant injected foam. Variously joinable thanks to a single seat unit and a single seat backrest unit. Ø16mm chromed steel tube frame. Linking device available.